December 21, 2018 by Andrew Goldhawk. 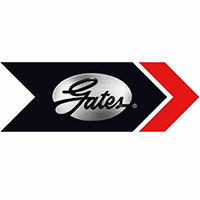 Maxxis is one of the most reputable off-road tire manufacturers in the industry. With the increasing popularity of UTVs, Maxxis continues to be a leader in innovating tires for all the different types of riding us enthusiasts encounter. 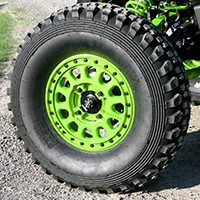 For example, the Carnivore covers anyone looking for the quintessential all-terrain tire while the Maxxis Roxxzilla is the next evolution for riders that are rock crawling enthusiasts. November 12, 2018 by Andrew Goldhawk. Before the weather turns too cold, we decided to take one last trip for the season and to check out the new Hatfield-McCoy Warrior trails located in the City of War, West Virginia. We took our 2018 Can-Am Maverick X3 X rs Turbo R to test out the new trail system. November 2, 2018 by Andrew Goldhawk. The Can-Am X3 is a badass machine in its own right. However, even the best stock machines can be upgraded for better performance and a more unique style and sound. That's where Agency Power hit it out of the park with their Valvetronic Exhaust System for the X3. October 22, 2018 by Andrew Goldhawk. One of the most common questions we hear, specifically in the UTV industry, is "What is the best belt to run on my machine"? 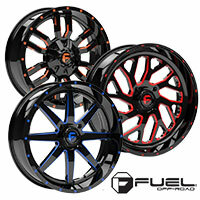 FUEL OFF-ROAD Wheels offered in Red, Blue, and Orange! September 28, 2018 by Andrew Goldhawk. As many off-road enthusiasts are aware, FUEL OFF-ROAD is one of the leaders in the industry of aftermarket off road wheels and tires. KJ Motorsports has partnered with them to offer some of FUEL's most popular UTV wheel designs in three different accent color options: Red, Blue, and Orange. September 17, 2018 by Andrew Goldhawk. August 31, 2018 by Andrew Goldhawk. Whether you're bogging through seemingly bottomless muddy pits in the south, rock crawling out west or somewhere in between, upgrading your stock axles is usually a necessity. 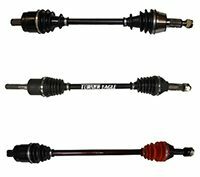 Today, we're going to look at three different brands of axles: Rhino, Turner Cycles and RCV Performance. August 23, 2018 by Andrew Goldhawk. As the UTV industry continues to grow and evolve, so do aftermarket accessory manufacturers, which ultimately leads to more options for you, the end consumer. 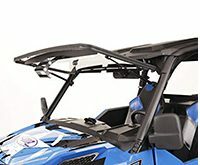 One of the first things to add on to your machine after getting it home from the dealership is a windshield. In this post we talk about the three main options you have when buying a windshield: type, material and color/tint. 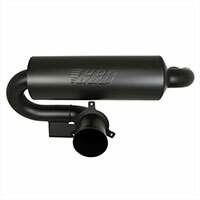 Check out GGB's XT Series UTV Exhaust! July 26, 2018 by Andrew Goldhawk. 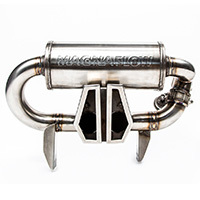 GGB Exhaust has been a leader in the snowmobile aftermarket exhaust industry for years. With the rise in popularity of UTVs, they recently threw their hat in the ring with the release of their XT Series mufflers. July 19, 2018 by Andrew Goldhawk. 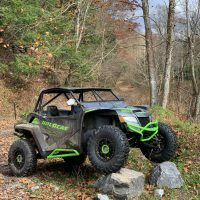 For the UTV racer and aggressive sport rider, the guys over at Method Race Wheels and Tensor Tire have come up with the perfect wheel/tire combo. It all started with the evolution of UTVs and the increasingly popular 72" wide machines.